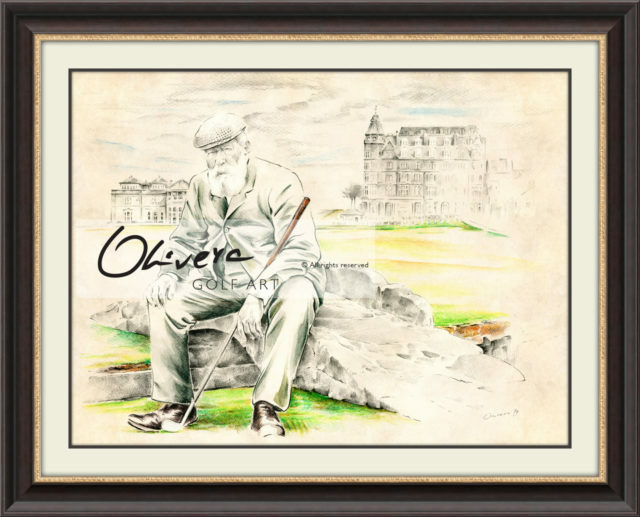 This GolfArt is RESERVED, but not SOLD. 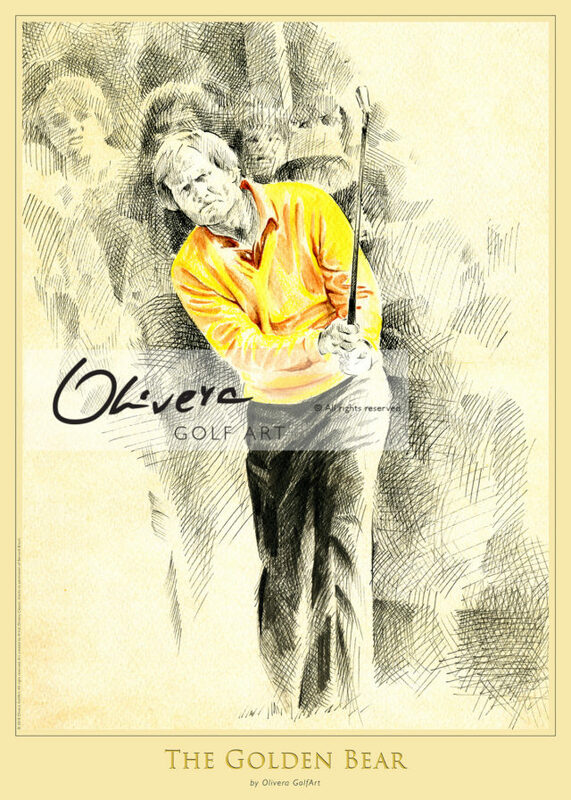 If you are interested for this ORIGINAL Olivera GolfArt – it still can be YOURS (contact us). This GolfArt is a tribute to 2 great Spanish athletes and legends and their golf tournament ON Invitational. 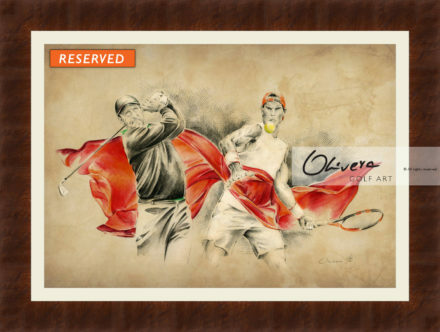 Olivera create this exceptional piece of Art, where those legends (Ollie and Rafa) play with a passion – both in game where archived amazing results (golf and tennis). 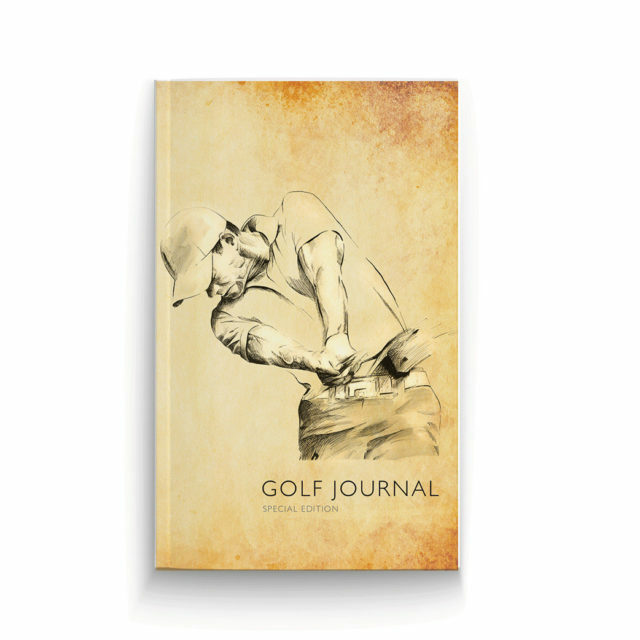 On this GolfArt you will have impression that they play like a team – not one against other. Like a beautiful dance between great Spain legends and gentlemen. This Art is a tribute to great golf event ON Olazabal & Nadal Invitational. Those 2 legends and amazing athletes, organise charity golf tournament every year in magnificent Pula Golf, Mallorca, Spain. This is ORIGINAL and unique piece of Art. One of a kind. 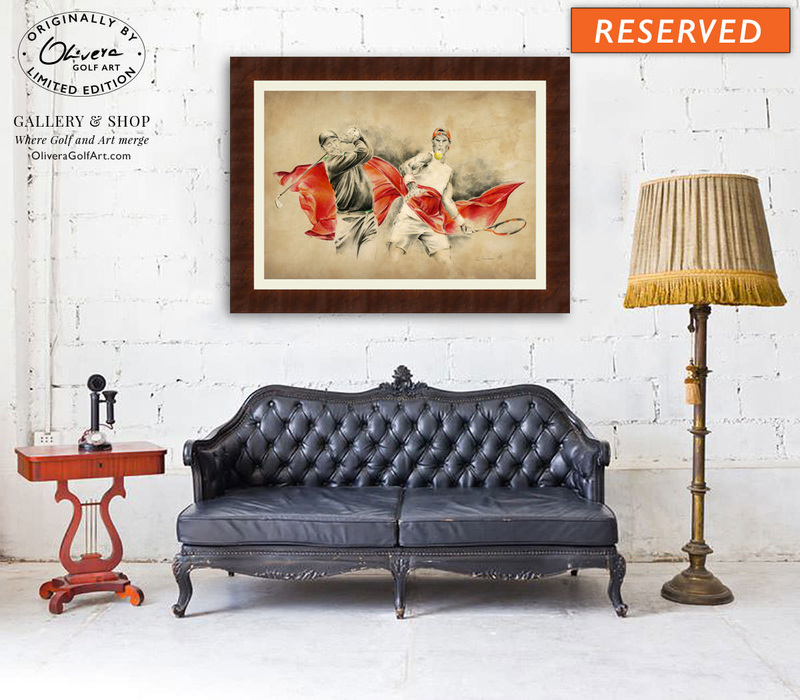 Created with a specific and recognisable technique by worldwide renowned Artist Olivera Cejovic. Her art-style and her art-technique is something that you can not see anywhere else. 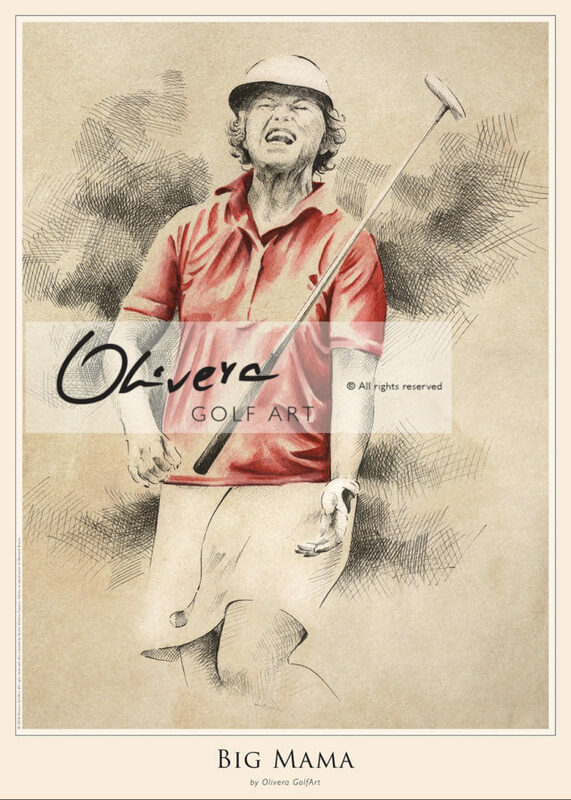 This brilliant artist, shifted the boundaries of the modern art and created something completely recognisable and unique … it is simply Olivera GolfArt. This Art will remain forever like a great tribute and memory on great Spanish athletes and one great charity golf tournament. Art-Poster based on this original is also available here.